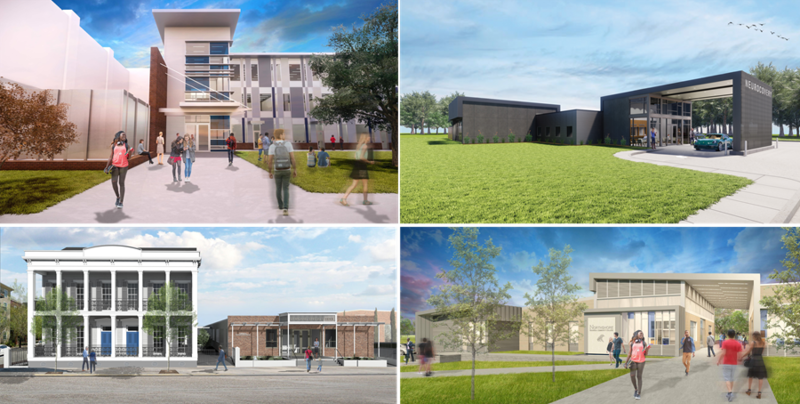 H/S Architects had another successful year in 2018, completing numerous projects, including Cambria Hotel Nashville, Southeastern Louisiana University Student Housing, Delgado River City Campus, Xavier South Building, various work for Ochsner Health System, Southeastern Louisiana University’s Master Plan Update, a unique new residence, and an urban infill, mixed-use development. Additionally, two of our projects received nationally recognized certifications, with Academy Place receiving the Green Communities certification and the Louisiana National Guard Franklinton Readiness Center achieving a LEED-Gold certification. 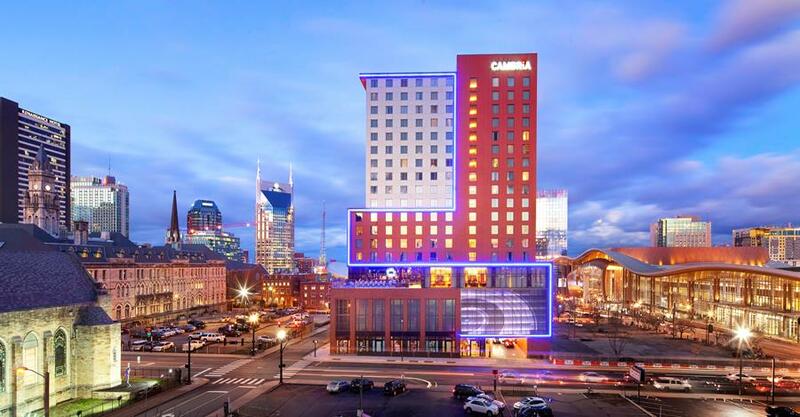 On March 29, 2018, the Cambria brand celebrated the grand opening of their new Cambria Hotel in the heart of Nashville’s SoBro District. Designed by H/S Architects, with interior design by Forrest Perkins, the 255-room upscale hotel is considered the world’s largest Cambria Hotel. The design is a subtle nod to the historic Nashville architecture and the previously industrial nature of the site. The hotel began construction in early 2016 and was completed in January 2018. Integra Construction was the contractor for the project. Consultants include Barge Design Solutions (Civil), Morphy Makofsky, Inc. (Structural), and Salas O’Brien (MEP). A 176,000 SF addition to Southeastern Louisiana University Student Housing opened in Fall 2018. The new student housing center consist of two 4-story residence halls located on the western part of the main campus. A unique feature of the facility was the incorporation of a hybrid geothermal system for heating and cooling – reportedly the second largest of its type in the state. “This project is the culmination of an internal goal to provide our students with modern, tech-friendly living spaces,” said Southeastern’s Vice President for Administration and Finance Sam Domiano. “We are proud to be able to incorporate new facilities on campus that will add to our on-campus housing offerings, enhance programming and benefit our students for years to come.” This project will soon be professionally photographed. The project began construction in July 2017 and occupancy took place in August 2018, in time for the fall semester. DonahueFavret Contractors, Inc. was the contractor for the project. Consultants include Schrenk, Endom and Flanagan, LLC (Structural & Civil) and Salas O’Brien (MEP). DonahueFavret took charge of this aggressive schedule, and the construction team, including H/S, worked seamlessly in cooperation with Southeastern to ensure this deadline was met. Completed in December 2018, the Xavier University project reimagines the north side of Xavier South and the existing parking lot to create a more inviting and dignified entrance to the building, screen the existing mechanical equipment, and visually integrate the structure with the other campus buildings, using common building materials, lighting, and landscaping. This project will soon be professionally photographed. Completed in December 2018, The Fold House is located on approximately 13 acres of forested land adjacent to a creek that ties into the Natalbany River in Pumpkin Center, Louisiana. The aesthetic of the home is organic and transitions from natural environment to the built environment. The unique Fold House will be professionally photographed after the landscape is complete. John Wilson of Wilson Construction was the contractor for this project. 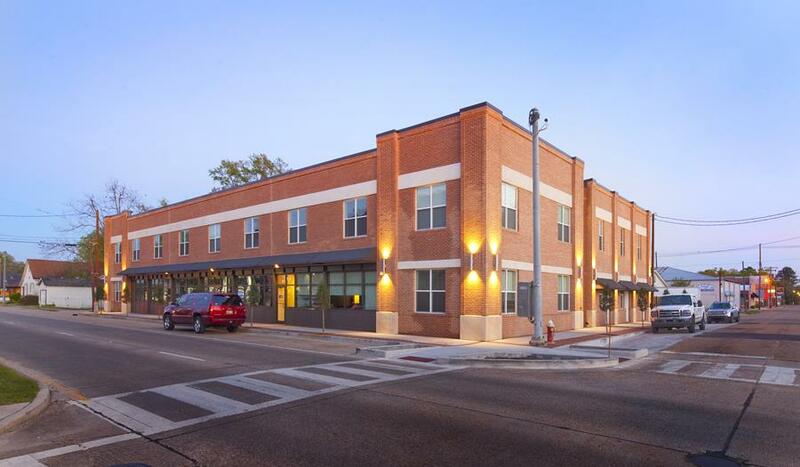 Completed February 2018, 200 Downtown is an urban infill, mixed-use development located on a formerly vacant site in downtown Hammond, La. There are a total of 11 residential units and 2 commercial office spaces. 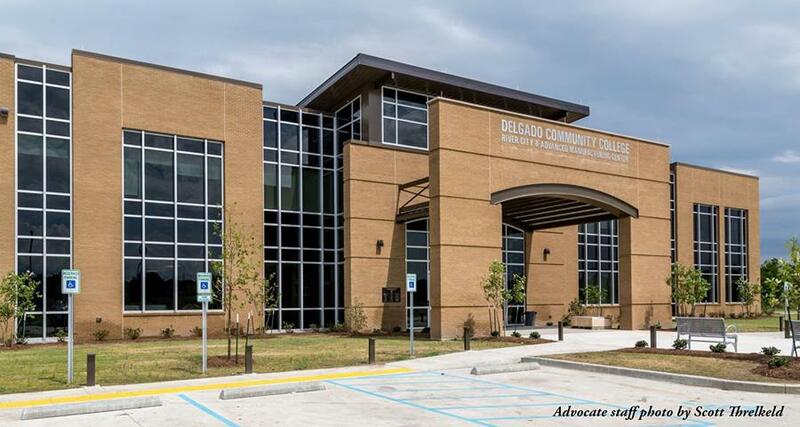 H/S Architects recently completed the Master Plan update for Southeastern Louisiana University in Hammond, La, which was last updated in 2013 by H/S. The latest Master Plan includes recently completed projects such as Ascension Hall, Twelve Oaks Hall, and the Computer Science & Technology Building. 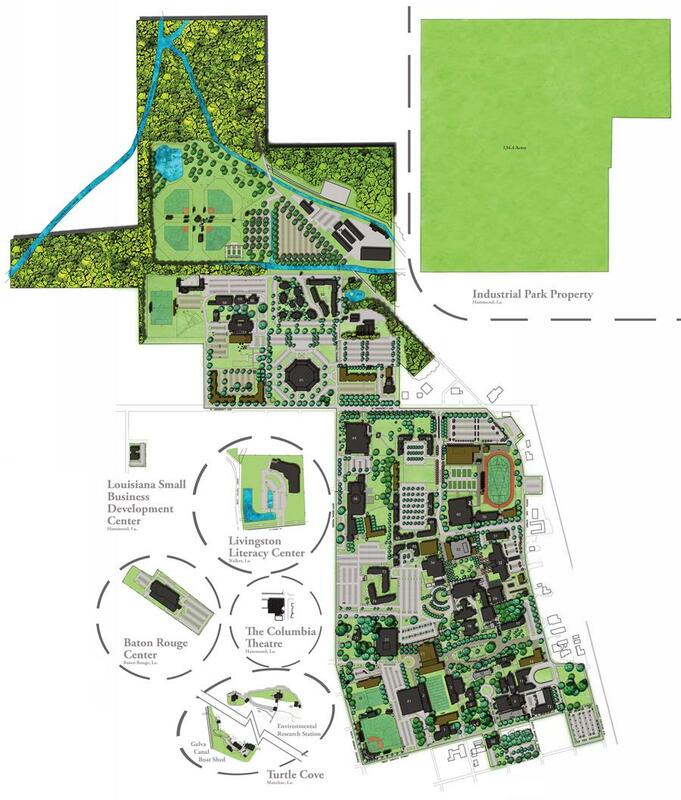 The Master Plan will inform the future growth of the Southeastern campus for years to come. H/S Architects has long history of working with Ochsner Health System and in 2018 expanded their capabilities to include a broader range of regional areas, as well as more medically intensive projects. Regionally, design services have been provided for various Pharmacies and Pediatric Clinics, as well as Licensing for Slidell Hospital and a new corporate office expansion in Lacombe. H/S assisted in major Hospital move for Baton Rouge (get from Mary). For 2019 the firm will be focused on renovations to Kenner Hospital, including the ICU, OR, PACU and Endoscopy Suite modifications. The Louisiana National Guard’s Readiness Center in Franklinton, LA, was awarded Gold-level certification from the U.S. Green Building Council’s Leadership in Energy and Environmental Design (LEED).The project was designed by H/S Architects, with unabridged Architecture as the LEED Consultant and Commissioning Agent. The Franklinton Readiness Center serves as headquarters for roughly 105 Soldiers of the LANG’s 843rd Horizontal Engineer Company, 205th Engineer Battalion. The readiness center provides critical support facilities for training, maintaining and constructing roads and airfields, preparedness/disaster resilience and recovery for the Louisiana National Guard. H/S is committed to providing design solutions that are innovative, forward-thinking, and budget responsive. Our primary goal is creating purpose driven, quality architecture, which is fundamentally focused on client satisfaction. Though it is not our goal of receiving awards, it is still gratifying when our peers recognize our design work. Our 2018 awards recognition included 3 from AIA Baton Rouge, 1 each from AIA Louisiana, AIA New Orleans, and IIDA Delta Regional Chapter, and 2 from USGBC Louisiana. Looking ahead to another successful year in 2019, we will see the completed construction of St. Michael Special School, Northshore Technical Community College – Livingston Campus, and Neurocovery Medical Facility as well as the completed move as the move coordinator the new Ochsner High Grove Medical Office Building in Baton Rouge. 2019 will also see groundbreaking of Mandeville High School Classroom Building and Gymnasium Addition, Forshag Pharmacy, Ponchatoula Area Recreation District Overflow Gymnasium, and Entergy Service Center Luling.